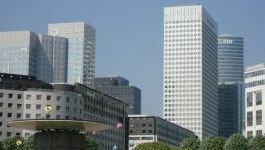 (CercleFinance.com) - Oddo has confirmed its buy rating on the Axa stock, along with its target price of 28 euros, after the announcement of a new placement of AXA Equitable Holdings (AEH). Oddo still believes that the stock is trading at a discount relative to the rest of its sector and at very low multiples. The group will therefore place 40 million AEH shares (representing approximately 7.7% of the current number of AEH shares outstanding) with an over-allotment option of 6 million additional shares, the broker says. In addition to this offer, AXA and AEH have entered into a share buyback agreement, whereby AXA will sell AEH 30 million AEH shares (representing approximately 5.8% of the current number of AEH shares outstanding) to AEH, Oddo adds.